Alliteration aside, Askiisoft’s Katana Zero really is a damn good video game. It’s also one where death is most certainly not eternal. 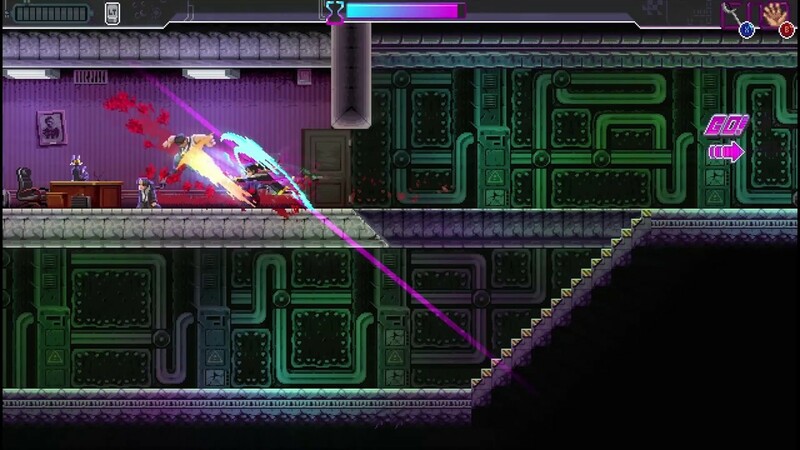 Years in development, Katana Zero puts you in the shoes of a contract killer, set in a gritty, sci-fi- world, imbued with neon lights and rundown apartments. Recently announced for an April 18th release on Switch and PC, we’ve spent a bit of time with Katana Zero and can tell you first hand that it’s top drawer awesome. We’re affectionately calling this one Braid Runner because it gives you the ability to turn back time in a world Rick Deckard would know all too well. 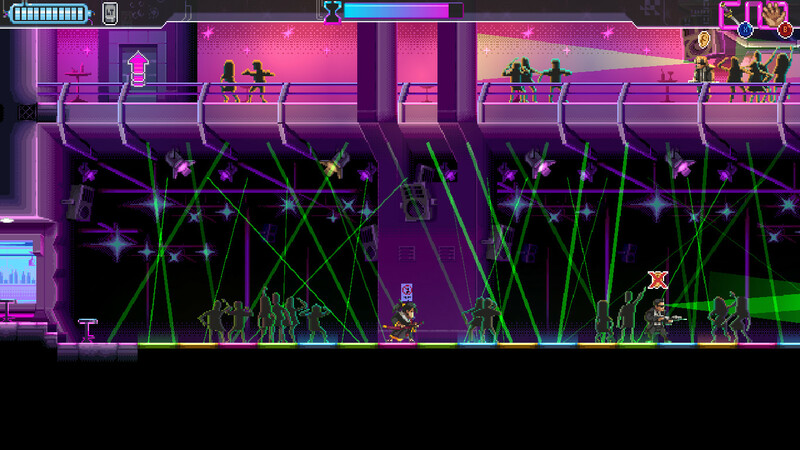 See, one minute you’re gutting armed guards, strolling into cyberpunk-style bars and doing front flips. The next, you’re sipping coffee, watching TV and discussing the state of your mental health in a series of fascinating, yet unsettling cutscenes. But outside of the blood, guts and acrobatics, the game takes an interesting turn when you die. 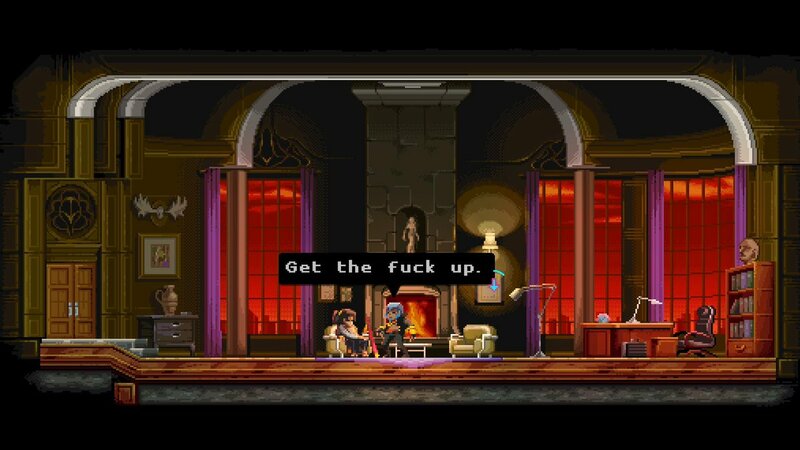 Just like in Braid you can stop the clock and go right back to the point before you first swung a sword. In that sense, Katana Zero kind of blends the replayability of N++ with the aesthetic and style of Hotline Miami. Which, naturally, results in the same amount of deaths. What makes KZ so interesting is that each section can be approached in different ways. For example, you could wait until a guard has his back to the door before kicking it in or you could take out a piece of the roof to fight enemies above you before fighting those in front of you. The ability to rewind time gives you the time to think about each movement very carefully but also experiment with different fighting styles and techniques. Like deflecting bullets or setting off certain traps. And where Katana Zero really starts to shine is when this mechanic becomes integral to the overall story and fundamentally twists the plot in new and unexpected ways. It starts to feel like less of a gimmick and more of a prominent plot device. The conversations you have with your therapist start to shape the way you approach your contracts, how your relationships develop, the way you act in certain situations. It goes even further still as the experience slowly starts to tailor to your choices. It’s a very smartly designed game that’s also incredibly atmospheric with its grungy, pulse-pounding soundtrack, tense setpieces, and glorious visual style. Askiisoft have absolutely nailed a retro-toned futuristic environment here. What we have, then, is shaping up to be the most intense, exciting, indie game of the year. It’s tough, sometimes blood-boilingly frustrating, but there’s a real sense of gratification as you progress through contracts. The purpose and development of the story is always at the forefront of your mind and often prompts the desire to progress in the face of sometimes harsh, seemingly insurmounable odds. Make no mistake about it, narrative is the game’s greatest strength despite its addictive core and surprisingly in-depth strategic possibilities. We haven’t had the chance to play all the way through as our build was in a previewable state, but we’ve seen enough to assure you that this is one you’ll want to keep both eyes on. A full review will come closer to launch. Until then, we’ll just say Katana Zero is not only going to scratch the side-scrolling itch that’s been bothering you, it’s going to create a whole new collection of cravings. So bad, you’ll probably have to rewind and replay while you wait for the rest of the industry to catch up.